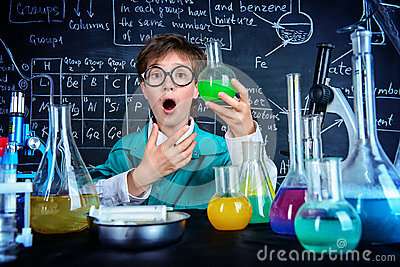 Smart boy scientist making chemical experiments in the laboratory. Educational concept. Discovery.